New editor John Micklethwait begins to make his mark. 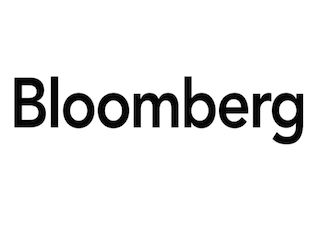 Bloomberg LP has made some editorial management changes designed to unify the newsroom. In a memo to staffers, new Bloomberg editor-in-chief John Micklethwait announced that he was forming an editorial management committee. The committee includes Micklethwait, Reto Gregori as deputy editor-in-chief and Josh Tyrangiel, who takes on the new role of chief content office for editorial. All of Bloomberg’s senior editors — on both the media and terminal sides — will report to the committee. The web editorial team (including if we can, Media web product and R&D) will come upstairs from 4E to 5W, to site with the BN journalists. That will mean we have one unified newsroom with people who write in real time sitting beside each other. It will also mean that Bloomberg Intelligence (currently on 5W but ring-fenced from News) will move up to 6E, along with the Briefs, to be close to Bloomberg View, creating an ‘Opinion & Research’ area. We will move Markets magazine editorial to 4E to sit with Bloomberg Businessweek and Pursuits, creating a magazine floor. You can read Micklethwait’s full memo below. When I arrived here, I said that I wanted to focus on helping our journalists to work as one team — so that we can produce better journalism and help our business partners across the various platforms. We have already done a lot of work in that regard, including gathering the senior editors around me in New York, rearranging the meeting schedules, and using more of each other’s work on more of our platforms. But there is still duplication and a few silos to deal with so we can all produce more great journalism. It cannot make sense that we have different people writing about the same subject in different locations. Nor does it make sense that at the moment I am the only editor with responsibility for the whole of Bloomberg Editorial. So we are going to reorganize the management so that we are more clearly one team. That begins at the top. We will create a unified Editorial Management Committee, mirroring Mike’s management committee, composed of myself, Reto Gregori as deputy editor-in-chief and Josh Tyrangiel, who will now be chief content office for all of Editorial. All of our main editors across the terminal and media businesses will report to me through this committee, including Laura Zelenko for Beat Reporting, Chris Collins of Breaking News, Marty Schenker for Terminal News Products, Claudia Milne for Broadcast, Josh Topolsky for Digital, Al Mayers for Radio and Stephanie Mehta for Events. I have asked Josh Tyrangiel to focus particularly on the quality of our longer features. It therefore makes sense to also keep his focus on our magazines (Bloomberg Businessweek, Markets and Pursuits). Media CEO Justin Smith and I have collaborated closely on the editorial reorganization within Media specifically. The editorial heads in our Media businesses — Claudia, Josh Topolsky, Al, Stephanie and the magazine part of Josh Tyrangiel — will also have a business reporting line to Justin, where appropriate. I will now serve as the editorial lead in Justin’s Media management team, and Josh Topolsky and I will attend his weekly meetings. Justin and I will work together on strategy for all our Bloomberg Media properties. I hope by bringing Reto from News and Josh from Media it will send a clear message about unity — and we will hold regular meetings together wih all the function heads. Tim Quinson, our Standards Editor, Lisa Jennings, HR, Shelby Siegel, operations, our lawyer, Randy Shapiro and Steve Ross, head of technology will also work across the organization. David Shipley at Bloomberg View (who already partly reports to Mike) and David Dwyer (Bloomberg Intelligence) will report to me separately, in line with the distinct nature of their businesses. I am convinced that improving our data journalism will be a crucial part of our success, so I have brought Wes Kosova into the central team, reporting to the Editorial Management Committee. He is already at work on a project with Steve Ross which has the aim of improving graphis ont eh terminal, the web and TV. As a first step, this will involve some movement in New York York, the principles of which we will look to incorporate elsewhere. The Web editorial team (including if we can, Media web product and R&D) will come upstairs from 4E to 5W, to site with the BN journalists. That will mean we have one unified newsroom with people who write in real time sitting beside each other. It will also mean that Bloomberg Intelligence (currently on 5W but ring-fenced from News) will move up to 6E, along with the Briefs, to be close to Bloomberg View, creating an “Opinion & Research” area. We will move Markets magazine editorial to 4E to sit with Bloomberg Businessweek and Pursuits, creating a magazine floor. Like all changes, this will involve disruption — and I am sorry for that. But I am sure that it is the right thing to do.